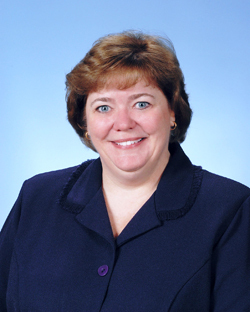 As Chief Executive Officer, Kathy has over 40 years’ experience in the employee benefits field. Her primary responsibilities include overall leadership of the organization with four divisional Vice Presidents reporting to her. 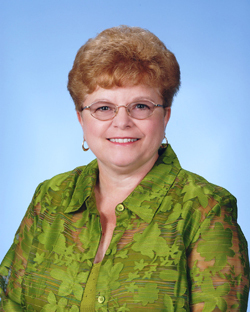 In 1980 Kathy co-founded Group Benefits Services (GBS) with her husband Bill. In her capacity as Chief Executive Officer she is responsible for working with her divisional Vice Presidents in evaluating the organization's current and future product and service portfolio. This includes the design and development of new systems, organizational structure and marketing support for these products or services. In addition, she serves as chairperson for GBS' Executive Committee and manages the company's over-all business plan. Through her leadership, GBS has become the premier Third Party Administrator in the Mid-Atlantic Region managing over $700 million in health care costs. To expand GBS’ success on a national scale, in February 2016, Bill and Kathy merged GBS with AmWINS Group, the nation’s largest wholesale brokerage firm representing more than 20,000 retail agencies, 260,000 clients and $14 billion in premium. This broad distribution network has already embraced GBS’ products and services and the results have exceeded our expectations! Kathy continues to serve as CEO of GBS to manage our future growth along with the rest of her valued colleagues. As Executive Vice President of Group Benefit Services (GBS), Dave is responsible for overseeing all aspects of marketing, sales, product development and education. 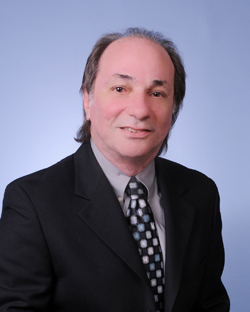 With over 37 years of experience in the employee benefits industry, his focus is to meet the needs of the broker community and their corporate clients. His primary responsibility is to oversee the overall leadership and development of GBS's fully-insured and self-funded administrative national footprint. Dave started GBS University in 2010 to promote Continuing Education for Brokers, HRA Professionals and CPAs. Since then he has provided education across the country for ACA Compliance and market trends in the areas of self-funding and wellness/population health management. Dave played a key role in 2016 when GBS merged with AmWINS to integrate resources between the operating companies. As Vice President of Information Technology, Dave has over 40 years of experience in IT, first as a Programmer/Analyst and then as a Manager. His primary responsibilities include directing a staff of Programmers on all new programming projects (on various platforms), maintaining tight security on data and systems, as well as taking advantage of new technologies to maintain GBS’s position as technology leader in the industry. Prior to joining GBS in 1997, Dave worked for Data Processing Solutions for 10 years. His clients included Fortune 500 companies, Federal and State agencies, and mid to small private businesses. He rose to Vice President in that organization. He then worked at Agency Services, Inc. for 11 years. Working with our IT division Cindy assists in the development and management of our website technology tools which include an HR Recruitment and New Hire on-boarding system as well as access for our clients and brokers to account and employee benefit information 24 hours a day / 7 days a week. She is responsible for developing and evaluating system procedures, working with our carrier/vendor partner contracts and conducting quality review audits, developing procedure manuals, and coordinating all business block transfers. 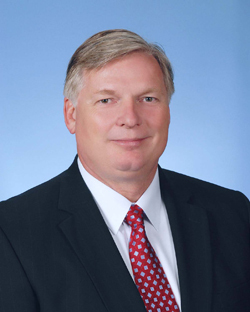 As Vice President of Major Accounts, Lewis brings with him over 35 years experience in the health care industry, and he has been in this role with Group Benefit Services (GBS) since 1997. His primary responsibilities include managing the Claims & Customer Service, Enrollment & Billing, Account Management, Business Analysis, and Data Analysis departments for GBS' self-funded business segment. 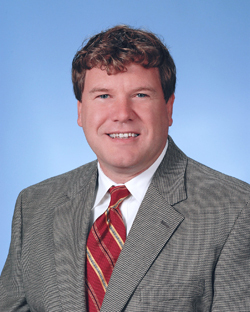 Prior to joining Group Benefit Services, Lewis served as Director, Practice Management at Upper Chesapeake Management Services Organization. In this capacity he played a vital role in the management and administration of Medicaid and Medicare full-risk contracts. Additionally, Lewis served 10 years at Blue Cross & Blue Shield of Maryland where he played an integral role in the development of a new claims adjudication system. From there, Lewis joined Prudential Health Care Plan of the Mid-Atlantic (PHCP) where he served in a dual role as Manager of both Claims Administration and Health Care Expense Analysis.